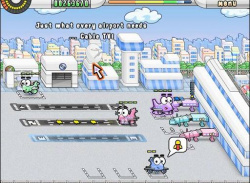 If you enjoyed playing Firemint's Flight Control, then you might want to take note of the upcoming WiiWare title Airport Mania: First Flight and check out the first trailer for the air traffic control game from Reflexive Entertainment and South Winds Games. Originally published on the PC by Reflexive and later ported over to the.. There are no prizes for guessing that Strong Bad Episode 5: 8-Bit Is Enough is out this week. 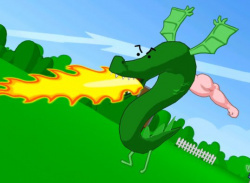 This is the final game in the five part Strong Bad series, in which fans will finally be able to witness Trogdor in all three of the glorious Ds! Other popular Homestar Runner games such as Stinkoman 20X6 and Thy Dungeonman also make appearances. Watch out for our review which will be up later today.